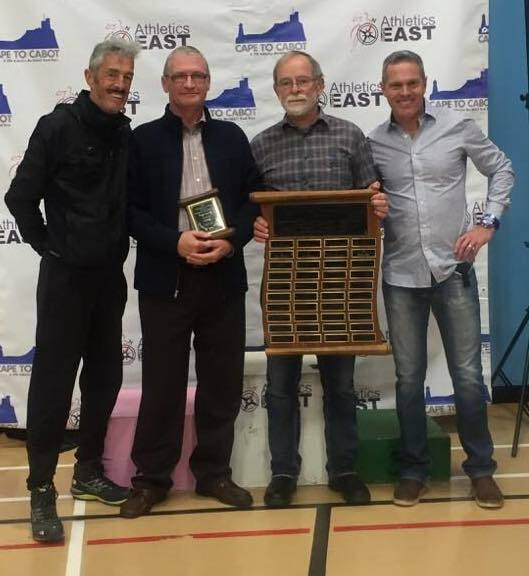 Keith Day of New World Running Club is the recipient of the 2016 Ian Ash Memorial Award, having "given selflessly to the sport of running and through it to the community at large, as did Ian". 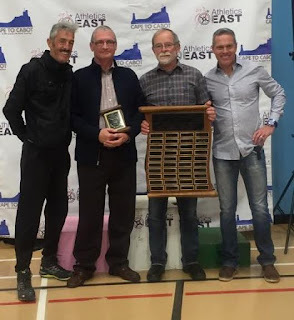 Keith (pictured 2nd from left) received his award from (l-r) prior winner Art Meaney, selection committee chair John Ryan and committee member Peter Browne at the Cape To Cabot reception on Sunday. Congratulations Keith and thank you for your service and dedication to our community! Thanks Spartan Fitness for the picture.